From gadgets to gear, spread holiday cheer with this season’s perfect gifts for the outdoor enthusiast. No two runners are alike, and neither are their goals. 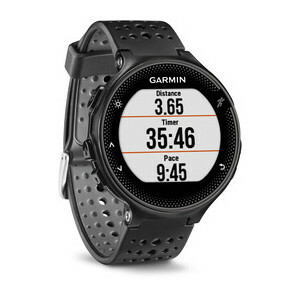 Download advanced workouts and training plans from Garmin connect to your watch. A built-in accelerometer captures distance and pace data when you’re running on an indoor track or treadmill, with no need for a separate foot pod accessory. Once you’re done running, it doubles as an activity tracker, counting your steps and calories throughout the day. Performance running sunglasses have long suffered from being expensive, over-engineered, and, more often than not, ugly. Goodr sunglasses are reasonably priced, simple, and look good. They are lightweight, slip- and-bounce proof, include polarized lenses, and will up your style game more than a velour jumpsuit. The next generation of bone conduction technology is what’s inside the lightest and most organically designed open-ear headphones to date. Aftershokz cut the bulk and used titanium everywhere possible to ensure they fit more securely and sound better too. Trekz Air is inspired by the demands of elite and aspiring athletes motivated by their music and their world. Did you know that wearing a hat can dramatically reduce the amount of body heat that leaves through your head? Boco’s stylish and technical headwear helps you stay warm and be the best at your training with a personalized Fleet Feet Boca hat! Being safe and seen is of the utmost importance when running in the dark. It isn’t a bad thing to be a little scared of running after sunset because it will make you more aware of your surroundings. Visibility essentials are just that—essential. Deep pile fleece and a full-length zipper make these jackets a go-to for post-run cozy comfort. From the trails to the coffee shop, to the pub; there’s no sacrificing function for fashion. They’re like wearing the Cookie Monster if he were a jacket. And not blue.